Sweden is located in a beautiful countryside and has several amazing aspects, but the tuition amount that you need to pay to attend their universities is quite expensive.Although Sweden provides free tuition to EU/EEA students, they charge high tuition rates for international students that are obtaining their bachelors and master degrees. Some of the colleges discussed in this article are low tuition institutions in Sweden, but remember, their tuition rates are quite high. 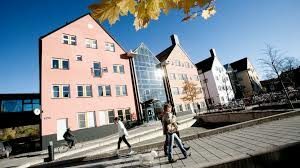 Interestingly, Swedish universities offer various scholarship opportunities to international students so that their financial burden can be comfortably eased, however please note that the applications going into these scholarship portals are super competitive since only a few applicants will be accepted at anytime. Another fantastic aspect is that international students who apply for their Ph.D degrees receive free education since they do not have to pay their tuition fees. Wait till the end, and you will receive a reward after completing your bachelor and your master degrees. Ranked as one of the top rated medical institutions in the world, the Karolinska Institutet continues to record great strides in the field of medicine which has led to massive improvements in human health. Also, some of the faculty of the Karolinska Institutet (KI) continues to select Nobel laureates in Physiology and Medicine every year. As you may have known, Nobel prizes are awarded at Norwegian or Swedish universities, and the KI has the unique opportunity to select Nobel laureates every single year. Because of their powerful reputation in medicine, the Nobel Assembly has granted the Karolinska Institutet of choosing the people to award for their branch of science. As I have indicated earlier, the Ph.D. programs do not charge tuition, but they do offer some forms of scholarship or work-study in which you can use to finance your education during your stay in Sweden. Since this university is a medical school, KI has one of the highest tuition cost among the universities in Sweden. Uppsala University continues to rank among the top 100 universities in the world, and it continues to show their greatness by training graduates with massive potential. As one of the Nordic region’s oldest university, Uppsala University was the first university founded in Sweden, and has several historic traditions that will be taught to students that study there. Since there are so many courses involved in the master’s programme, you can find all the programs at this link. To know the specific tuition amount, you need to click the master’s program that you are interested in and click on the admission section, and the tuition fee will be included in that section.Tuition fee for Ph.D. is free even for international students. Take advantage and good luck! Founded in 1666, Lund University of Sweden consistently makes the world’s top 100 universities, and has its main focus on research. Even though it invests heavily in research, Lund University is very open to international students since it currently as it currently has a student body from 70 different nations. Also, two of the world’s reputable research centers are based in Lund University, and it still has a fantastic reputation for being a really great university. Stockholm is found in the capital of Sweden, and has grown to be one of the leading universities in Europe. Because of their popularity, this university has a big revenue that is used for research and also for global collaboration. Stockholm University’s specialty lies within the fields of science, so be sure to check it out if you are interested. Please note that Stockholm University itself does not have that many undergraduate courses, but they do have fantastic amount of masters programs for graduate students. Interestingly, all doctoral students are paid if they are accepted. Please click on the link above for more information! This institution is one of the foremost in engineering and technology.KTH Royal Institute of Technology is currently Sweden’s largest technical university, and continues to house several local and international students with great abilities and high potential. Also, the main concentration of KTH is on research, and the field of engineering and sciences are one of the best fields in the country. Same as the school shown above, KTH generally employs all their doctoral students, so if you get accepted, you will not be required to pay, but get paid by the university! Good luck, and hope this helped!